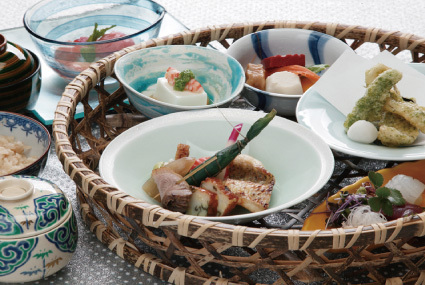 Making the most of traditional techniques, innovative and innovative integration, and new challenges of Japanese chefs are endless. It takes 20 minutes from JR Kyoto Station to Ogoto-Onsen Station by the Kosei Line. We will pick you up. It's 680 yen by taxi. 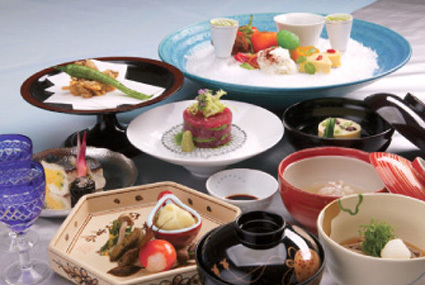 ※ All prices are displayed without tax. Please note that consumption tax is needed for all the items. Copyright(c)2006 KIYOMOTO All Rights Reserved.